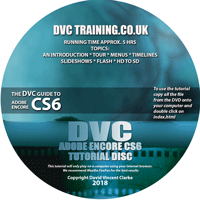 DVC offer a variety of training courses and tutorial materials to help you get the most out of your chosen editing software and hardware. Follow these links to read more about training courses in Grass Valley EDIUS, the Grass Valley official Grass Cutters course for EDIUS, Adobe Premiere Pro, Adobe Encore, Adobe After Effects and Avid Media Composer. We will also shortly be offering training in Blackmagic DaVinci Resolve. 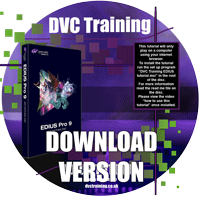 A DVC training course is one of the best ways of learning your new software. Whilst tutorial videos and manuals are good aides there is nothing like having a person explain how to use the software in plain English and being able to answer your questions when they occur. We now offer training courses in Grass Valley EDIUS, Adobe Premiere Pro, Avid Media Composer, Adobe Encore and Adobe After Effects. Training costs £300 per day. Courses normally start at 10AM and finish between 4PM and 5PM with a short break for lunch. For each course we have a set number of topics to be covered but this can be varied depending on your needs. It is best to prepare for the training with a list of questions and we will discuss them at the start of the day and make sure everything is covered during our session. We can run any type of course you would like on the software listed, in fact no two training courses are the same as we adapt the basic topics to suit your needs. 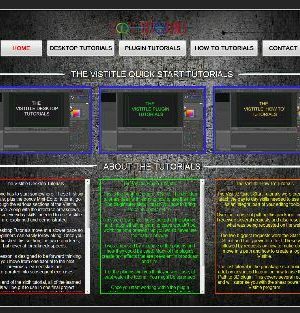 A one day course is normally enough for someone who wants a basic introduction to an editing program or who has a degree of knowledge and wants something more in-depth. A 2 day course will give a more comprehensive look at the program with more time to cover the topics in depth. We like to include as much “hands-on” work as possible as the best way to learn anything is to actually do it yourself. We can run courses for people of many different abilities – from an introduction for a complete beginner to an established user who want to make sure they are getting the best from their software or systems. Ideally everyone on a group course would be of similar ability. You will discuss your needs in advance with DVC trainer, David Clarke, to make sure the time on the day is optimised as much as possible. We can also run group courses, either at your own premises or at DVC. In a group course topics to take longer to cover so ideally these would run for two days, rather than one. The cost is £400+VAT per day. At DVC we will provide a computer for each attendee. At your premises we can provide a small number of computers, although they may have to be shared if there are several people on a course, as well as a video projector or large screen if needed. Training can either be at DVC or at your premises. If at your premises all we will charge are the extra travelling expenses. Expenses would be discussed and agreed in advance. Do you provide the computer? Courses are normally run on DVC equipment but if we use your own system then any changes or customisation made to the program during the training will be saved on your machine. You can bring your machine to DVC for the training if you prefer. When do you run training courses? We book a training course at a time to suite you. Just give us a ring at DVC we can sort out some convenient dates. Who runs the training courses? DVC tutorials and training are carried out by DVC MD David Clarke. David has been using Adobe Premiere since version 1 (which was in about 1994), and has extensively used Avid Media Composer, Adobe Encore and Grass Valley EDIUS. 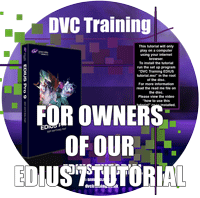 DVC’s range of EDIUS training discs have been widely acclaimed and very popular. The list of clients we have had for training is varied from individual hobbyists up to broadcasters and includes the BBC, the press department at Buckingham Palace, the Air Accident investigation unit, the press department at Fulham Football club and many more. His main editing is either DVC tutorial videos (generally edited in Premiere or EDIUS and authored in Encore) or the epic 6 part Dr Who story that he has been making, purely for fun, over the last few years. Please email sales@dvctraining.co.uk for more information..